Earrings are not always the easiest piece of jewelry to buy. Amazingly, if you take the time to understand which shape of face you have it will make buying earrings fun. From long and dangly to simple studs we have some tips based on face shape to find the best style of earrings to match them. We spoke to the designers at Links of London to help us explore both the most common face shapes, as well as the types of earrings that go well with each. Do you know what type of face you have? Chances are, unless you’ve already dug deep into developing your personal style and trying to find accommodating accessories, you might not know yet. Below are the most common “types of faces.” Try to match the following descriptions with your own type of face. Square – You have a square chin with a prominent jaw, and your forehead and jawline are about the same length in width. Round – You have noticeably round cheeks that are equal in both width and length of the face. Oval – You may have a forehead that is just slightly wider than your chin. When measuring the length of your face, it’s about one and a half the width of your face. Oblong – The oblong face shape is similar to the oval shape, except it will have a slightly longer length and is not quite as wide. Heart – Your face may have a wider forehead and cheekbones, while also sharing a narrower chin and jawline. Diamond – Your face’s shape is narrower at the forehead and jawline, while the cheekbones remain the widest point of your face. Knowing the shape of your face can help you make better decisions about the type of jewelry you purchase, for example earrings and sunglasses. 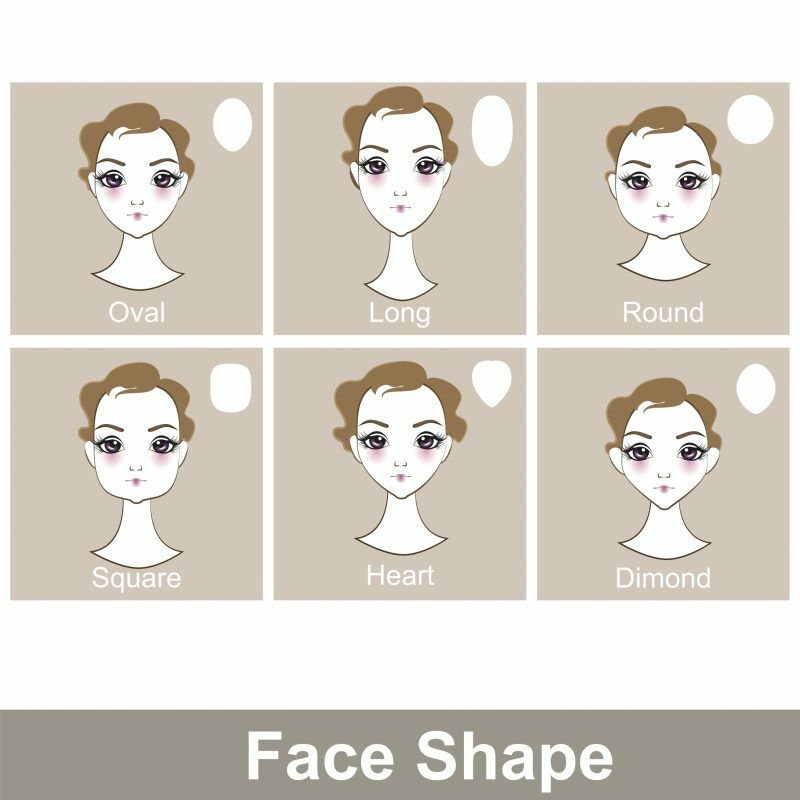 Once you know what face shape you have, you can start to pick and choose accessories that best match it! Try to select earrings that are longer (or at least medium) in length, rather than shorter. Hoop earrings are a great option for people with a square face shape. If you want to try and soften the edges of your face, try out a pair of earrings that are angular or have rounded edges. When picking out earrings for a round face shape, aim for a pair that have long dangles or are otherwise long. Drop earrings are a great place to start, as longer earrings will help to elongate the shape of the face. With an oval face shape, you’ll want to start with earrings that share a similar oval-like shape: pearls, teardrops, and ovals. These will complement your face’s natural contours. Fortunately for anyone with an oval face shape, there’s much higher versatility in earring selections, so you can experiment even more than most face shapes. For an oblong face shape, try out a pair of earring studs, or any similarly small and round style. Button and round style earrings are great alternatives, which will help to draw attention to the eyes. As you’re shopping around for earrings, look for and try on a pair that are wider towards the bottom, rather than at the top. Any earrings that you find that have softer curves (e.g., tear-drops), can be another style to work with. These types help to balance the face’s natural triangular shape. With a diamond face shape, search for earrings that have more width than length. You can’t go wrong with choosing a pair of earrings that blend a combination of straight lines and curves, or choosing a pair that have delicate drops in their design. No matter your face shape or your style, the perfect earrings are out there!